Ok, we had to honor this Oregon landmark. 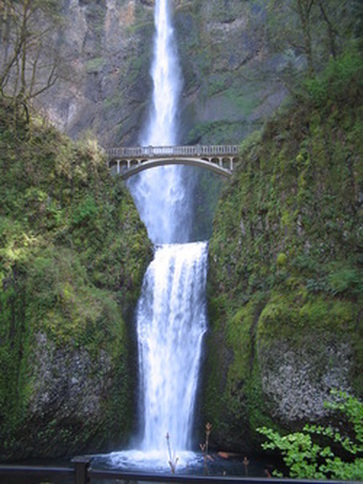 The most famous waterfall in the state of Oregon, and rightfully so. We all know how beautiful it is, but stop and take another look to enjoy the majesty of this treasure. Runners cross the bridge in the photo to the left during their leg.